Each cane we have chosen for our rods has been seasoned for forty years. This select stock is hand split, carefully sectioning out each strip in preparation for hand planing the delicate tapers. The traditional and accurate art of hand planing assures the strongest rod possible. 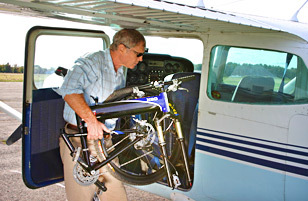 We offer top-of-the-line mountain bikes that collapse into a convenient portable case. Whether you need to get upstream at the end of a long float, or down the trail to your honey hole, you'll love your Montague folding bike. Our putters are extensively customizable with choice of steel, graphite or bamboo shafts, mallet, blade, or chipper putter heads and fitted standard, waist, or chest length clubs. Under every putter’s unique bamboo grip;length, date of construction and your name are inscribed. Our custom-built aircraft hangar and workshop area has allowed for a large workspace and office. 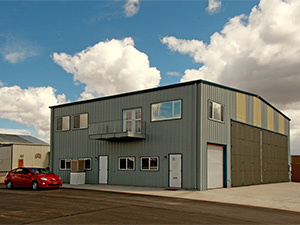 We are located in Reno, Nevada, at the center of the Reno-Stead Airport, home of the Reno Air Races. 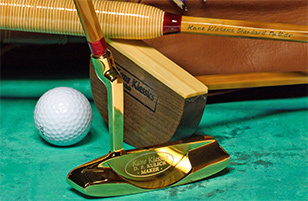 Kane Klassics has been crafting bamboo and graphite rods since 1988. Our 25 year existence has been made possible by our enthusiastic supporters who continuously chose the durability and elegance of Kane Klassics rods. 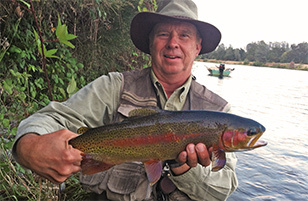 These supporters know the secret to getting the most from their fly-fishing endeavors. Our brand has grown nationwide, allowing for our rods and rod restoration services to be tested in waters surrounding the Pacific Islands all the way to the rivers of the Alaskan wilderness and constantly performing beyond our owner’s expectations.